Plant another row of peas and they’ll crop in autumn! 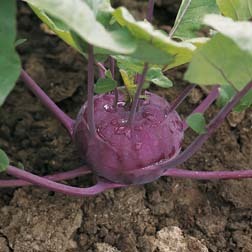 Attractive, purple-skinned roots with pure white, succulent flesh, best eaten when golf ball size, although the flesh still remains succulent and bitter free when roots are larger. Easy to grow, quick to mature in under 8 weeks from sowing. Plants have a neat, compact growth making them ideal for early sowings under cloches or fleece.Prefers well-drained, moist, rich soil in full sun. A rich source of the provitamin A, vitamins C and K and folate as well as the antioxidant carotenoids b-carotene and lutein. I tried planting some earlier in the year but the bizarre weather didn’t help it! Time to sow another row! This super sweet carrot is a taste sensation! 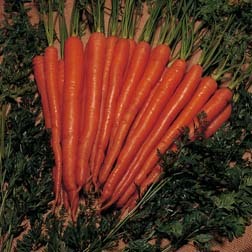 Carrot ‘Sugarsnax 54’ has a superb flavour whether it is cooked or eaten raw. The long, tapered, 25cm (10”) roots contain high levels of beta carotene giving them a rich orange colour that will brighten any plate. The uniform roots are delicious eaten fresh but will also store well over winter. Height: 30cm (12”). Spread: 15cm (6”). Either harvest when young and very sweet or leave in the ground longer. Sowing Months:April, May, June – so plant as soon as possible. Whilst seed packets give you the best months to plant seeds it’s always best bearing in mind the weather. Things are so mixed up this year that you can probably give anything a go as long as you don’t get too depressed if things don’t work 100%. Well worth looking at these tasty oriental leaves! For salads or stirfrying! Oriental Mustards add tastes and textures to your mixed salads, sandwiches and garnishes and also stir fries. Sow regularly all the year round for a constant supply of ‘salad leaves’. Pick the nutritious leaves of Oriental Mustards in under 30 days from sowing during summer months. Ideal in containers on the patio.Good source of provitamin A, vitamins C and K, and folate. CONTENTS: Mustards Red Giant, Red Feather and green frilled Pizzo. One to buy and start planting now! Thompson & Morgan sell this great beet grown for it’s leaves. 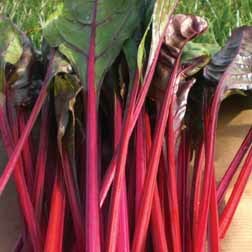 Probably the best tasting Red Chard. The taste is mild, juicy and delicious with no harsh aftertastes unlike most Red Chards. Ideal for successional sowing through the spring and summer for both ‘baby leaf’ or as mature plants. High tolerance to downymildew. Will need some watering if we get some dry weather – but a few rows of this leaf beet should provide plenty of edibles! The page has a map as well as info on the level and postcode. Get 10% discount – ideal if you want to do some DIY in the garden! in conjunction with any other voucher codes. Available for online purchases only. This voucher code can only be used once per transaction. 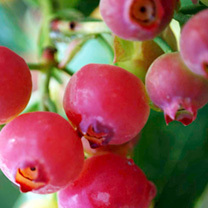 A pink blueberry – known as the pinkberry! It needs ericaceous compost like blueberries, and is self-fertile. Height after several years is reported to be 1.5m. This should mean it’s a big plant that can heavily crop giving you plenty of the extra sweet fruit. Fruit ripens in August and September to a lovely pink colour. 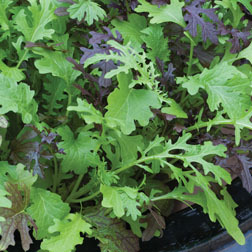 Grow salad leaves at home – it can save you a fortune! I’ve included simple instructions on how to grow salad leaves! If you can water a houseplant then you can grow salad leaves at home. You can pick varieties that can grow all year round, through the winter and there are many different varieties of salad leaves to grow at home. Whether you grow in pots on the window sill or have a shelf or two in the greenhouse you’ll enjoy eating homegrown lettuce and other salad leaves. If you love having fresh salad to eat then you should consider growing your own. If you buy bags of lettuce ready to eat then you could easily spend a small fortune each year just on lettuce! It’s easy to grow! You can buy mixes or single varieties! You’ll need pots, compost, seeds and to remember to water them. Follow instructions on packets but generally the method is to fill and firm pots of compost, sprinkle seeds on top (not too many) and then lightly cover with compost, firm and water. Start a new pot or two off every few days according to how much lettuce you eat. That way you’ll have a constant supply. It’s this ‘little and often’ sowing that is the secret to having lettuce ready all the time. If you like one particular type then just grow that. If you like a mixture then mix it up! A really quick growing mix for those gardeners who cannot wait! Salad Leaves Speedy Mixed produces a tasty blend of tastes, textures, colours and leaf shapes for sandwiches, salads and garnishes. Quickest during the summer months when Speedy Mixed will produce ‘salad leaves’ in about 25 days, but can also be sown all year indoors. Contents: Salad Rocket Victoria, Greek Cress, Mizuna, Mustard Green & Red Frills, Pak Choi Canton White. You can grow in cold frame, greenhouse, or a windowsill. You can grow lettuce outside from Spring onwards. Some varieties are winter hardy but will do better with some shelter. Varieties like Lettuce ‘All The Year Round’ (Butterhead) – Lactuca sativa – is a great one to grow. Sowing Months:March, April, May, June, July, August, September. Lettuce ‘Arctic King’ (Butterhead) – sow in August, September, October! A fine lettuce known for its exceptional cold resistance and bred solely for autumn sowing. Winter Gem lettuce – Sowing Months:January, September, October, November, December. The range of lettuces available for spring and summer planting is enormous so you can find those easily. Other leaves you might want to grow are: mizuna and pak choy. More exotic but worth a try at growing them at home. Lactuca sativa ‘Rusty’ – isn’t green! You don’t have to spend a fortune on pots either. Save tubs and trays from tomatoes and other vegetables and use these. Make sure you put drainage holes in the ones you are putting the soil in. Match up containers so you have a plant tray and then a ‘saucer’ tray so you don’t drip water on the windowsills. It’s really easy to grow salad leaves so you should give it a go. A bag of seeds costs about the same as one lettuce bag but might contain thousands of seeds. Some lettuce grow heads that are normally harvested as a whole – some are grow to cut and come again. You should be able to tell which is which easily from the pictures on the packet – and it should be written on too. If in doubt then look at the salad leaves as they grow. Do they seem to be hearting up once they get a couple of inches tall? If not then you can cut off leaves. It is easier to remove leaves using scissors rather than fingers. You do less damage to the roots of the plants. AYR lettuce? What’s this then? Are you looking for a variety of lettuce called AYR? It’s actually an abbreviation for all year round! They sell eco-pots: handmade fibre and clay Planters are produced using a unique process of combining clay with fibre, using only 10% energy usage of other ceramic and plastic processes, making our fibre and clay planter range extremely eco friendly. These handmade Clay Fibre planters will vary slightly in colour and finish adding to their character and appearance.